Anna Gagliano Gordon, who died in 2002 at the age of 94, was the personification of the culture of the mid-century American Catholic working class. A hard-working single mother – Mary Gordon's father died when she was still a girl – she managed to hold down a job, dress smartly, raise her daughter on her own, and worship the beauty in life with a surprising joie de vivre. Bringing her exceptional talent for detail, character, and scene to bear on the life of her mother, Gordon gives us a deeply felt and powerfully moving book about their relationship. Toward the end of Anna's life, we watch the author care for her mother in old age, beginning to reclaim from memory the vivid woman who helped her sail forth into her own life. 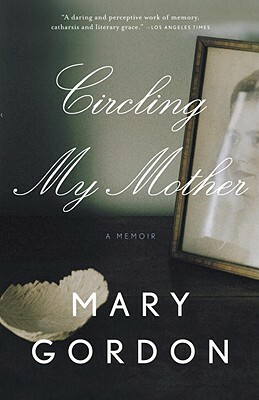 Mary Gordon is the author of the novels Spending, The Company of Women, The Rest of Life, Final Payments,The Other Side, and Pearl; the short story collections Temporary Shelter and The Stories of Mary Gordon; and the memoir The Shadow Man. She has received a Lila Wallace-Reader's Digest Award, a Guggenheim Fellowship, and the 1997 O. Henry Award for best story. She teaches at Barnard College and lives in New York City.